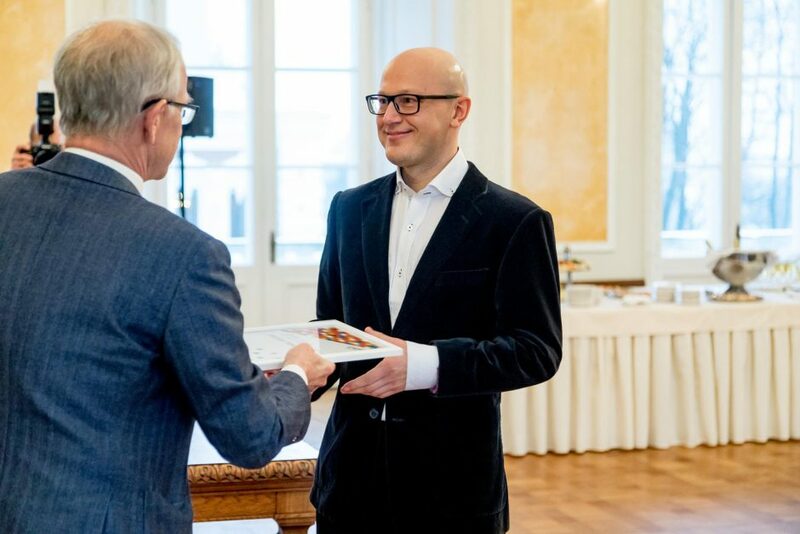 Silver Tambur, the cofounder and editor-in-chief of Estonian World, has been awarded by the Network of Estonian Nonprofit Organisations for his work of improving Estonia’s image abroad as well as making it a more open society internally. Tambur was named the recipient of the “2017 mission award” along with Rainer Sternfeld, a startup entrepreneur and author behind the Estonian-language podcast, “Globaalsed Eestlased” (Global Estonians). “Both deserve recognition for their activities for making Estonia a more open society, and making the country greater, both internally and externally,” the Network of Estonian Nonprofit Organisations said in a statement. “Silver Tambur is the founder of the online magazine, estonianworld.com, and a leader in the English-language event, Estonishing Evenings. On his initiative, many foreigners have been introduced to Estonia and the emergence of a friendly and open mindset has been encouraged,” the organisation added. “It’s a pleasure to accept this award – and I accept it on behalf of all the people who have contributed to Estonian World,” Tambur said at the award ceremony in Toompea Castle, in a reference to over 200 people who have contributed to the popular online magazine over the past five years. “I believe that the fact Estonian World was established by Estonian expats in London has shown that our compatriots who live abroad, are not necessarily ‘lost’ for Estonia – instead, they can contribute worldwide,” he added. “Estonian World is primarily aimed at people living abroad and Estonishing Evenings for people living in Estonia – but both initiatives share the notion that the world does not end with the borders of this country. Estonia is part of the global society – it cannot function without other countries and other countries cannot get by without Estonia,” Tambur said. However, despite appreciating the award, Tambur emphasised that it’s hard to run a professional media outlet based purely on “mission”. “Estonian World is a professionally run online portal, with professional journalistic standards and two professional editors. It costs approximately €80,000 per year to run and we are constantly struggling to make ends meet,” he said, pointing out that contrary to some myths, the Estonian government has not given a penny to the outlet. “Luckily, more and more people and entrepreneurs have understood the importance of the globally popular English-language publication about Estonia and have started to support financially Estonian World – but it’s nowhere enough yet,” Tambur noted. “That’s why we have recently set up means to support the magazine, via Patreon and PayPal. Companies can also contact us for sponsorship deals,” he added. The Network of Estonian Non-profit Organisations is the single and largest Estonian organisation uniting public benefit non-profit organisations. Its mission is to give voice to and advocate on behalf of Estonian public benefit organisations and its work is dedicated to the development and promotion of civic action and civil society in Estonia. Estonian World is a global independent online magazine, founded in London in 2012 and headquartered in Tallinn, Estonia. The magazine has editorial representations in London, New York, Los Angeles and Tallinn, and contributors all over the world, on every continent. With over 40,000 followers in the social media, Estonian World is the most popular media outlet about Estonia and Estonians that is published in English. Cover: Silver Tambur accepting the award, which was presented by Eiki Nestor, the current Speaker of the Estonian parliament, Riigikogu (courtesy of Riigikogu).